Hawaii Big Island: Day 5! — Let's chase adventures. One of Puakō’s highlights, Petroglyphs offer an exclusive context into the history of Hawaii. A short walk in (approximately 1.4 miles round trip via the Malama Trail) will lead you to an observation point with 1,200 petroglyphs visible in the section of the Puakō Petroglyph preserve. Overall, a total of 3,000 designs have been identified, including paddlers, sails, marchers, dancers, and family groups, as well as dog, chicken, turtle, and deity symbols. There was a sign which mentioned that no one knows for sure what some mysterious symbols mean but they are a significant connection to the past. Most noticeable about this beach was the black rock formations and the heavy tidal currents. Malasadas, which you MUST TRY if you are in Hawaii, are a yeast-leavened doughnut enriched with eggs, butter, and sometimes evaporated or fresh milk. After frying, they are rolled in sugar. Options available here include: plain, cinnamon, li-hing, powdered as well as no sugar. We tried the li-hing plum donut sugar and it was sinfully delicious. Our lovely malasadas lady serving up some piping hot goodies. This plantation was quite interesting to visit and there are guided tours during every half hour interval. There also coffee samples to try. 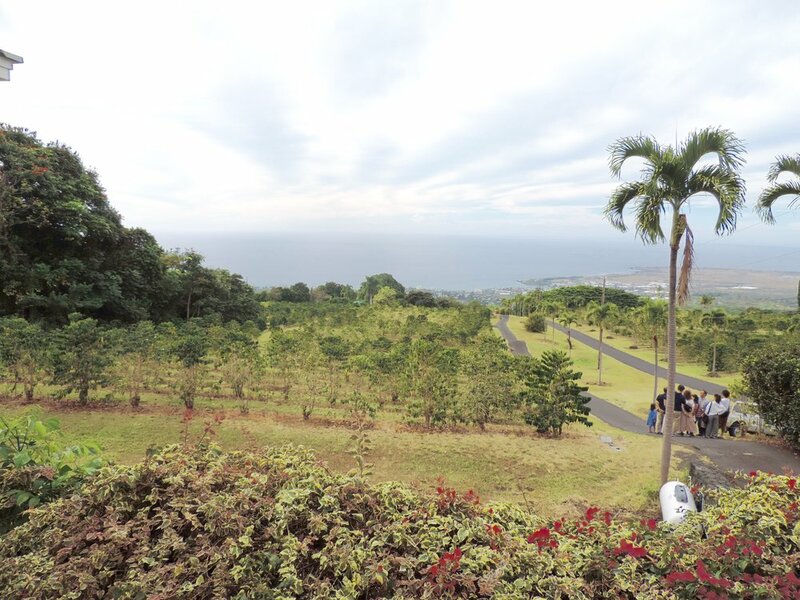 There was a slope typical of many coffee plantations which allows water to run off. 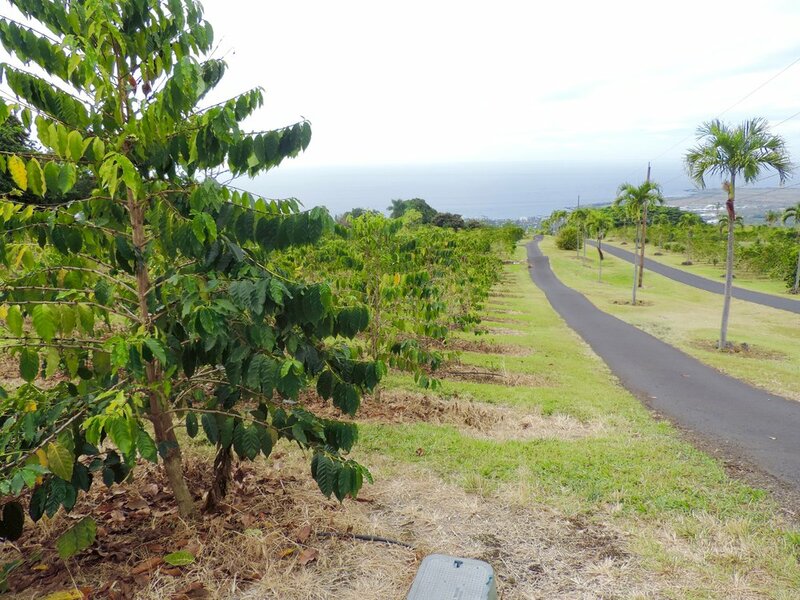 Typically, it takes 3-4 years for a “coffee tree” to grow to fruition and it grows throughout the year. Urea is used as fertilizer generally. This red indicates that the seed will not pop out anytime soon. Dark red means that it is ripe and the seed should pop out soon. After a fermentation period, it will undergo parchment, which means it has to be removed, followed by sorting. Note: Typically, you can only snorkel here until around 4pm. We rented our snorkel equipment here (without flippers, it cost around $13 USD). The lady renting the equipment was informative and helpful. As a complete beginner, I really recommend this place for its calm waters and variety of fish - it was such an amazing experience to experience the waters of Kahalu’u Beach and observe up-close all kinds of schools of multicoloured fish swimming through the corals (sadly, I have no photos as I do not own a waterproof gopro). It also took a while to acclimatize to the snorkelling breathing method, but once you get the hang of it, you gain the courage to stay underwater for longer breaths. Unfortunately, we could not see sea turtles during this particular period. However, there are typically sea turtles in the area which I imagine would be great to see up close. 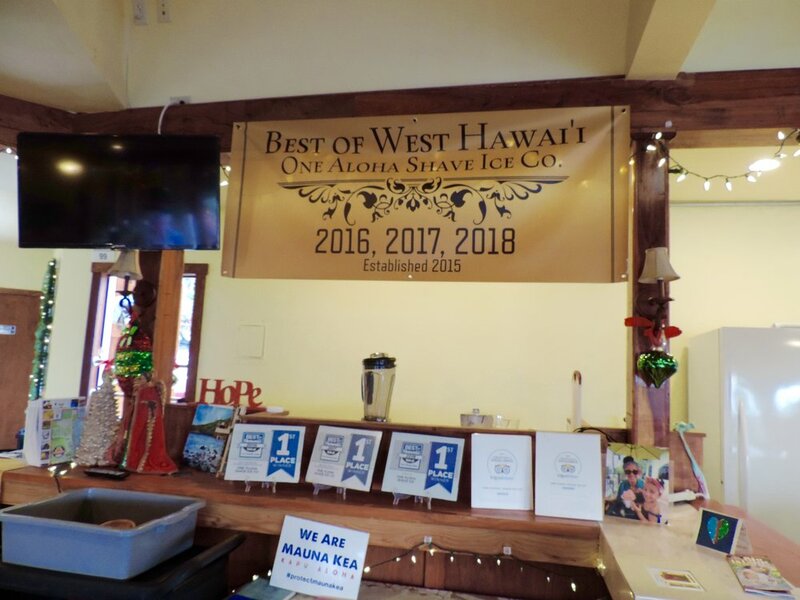 Voted Best of West Hawaii for 3 consecutive years, we were DYING to try this shaved ice. For those interested, another popular location right in Kona is Scandinavian Shave Ice. For the health nuts out there, it is made using organic and vegan fruit flavours. The shaved ice is very finely milled and fluffy. We could definitely taste how fresh and natural the syrup was and I read that it is freshly made every day. You can tell that there is no artificial aftertaste or colors. The area you can enjoy this in is also bright, airy and spacious. Would definitely recommend try this, perhaps with ice cream as well. This was definitely a standout dinner place which reminded me of very Jamaican cuisine. We thoroughly enjoyed the laidback vibe and unique and enjoyable flavours. Jambalaya - Chicken, sausage, shrimp and veggies sautéed in spicy cajun spices. Da Aina (veggie patty). If you’re leaning towards healthier options, this was delish. That’s a wrap for an eventful day. As always, shoot me an email at hustledreamexplore@gmail.com if you want more information or an itinerary. I will reply shortly. Newer PostHawaii Big Island: Day 6! Older PostHawaii Big Island: Day 4!